Regardless of your opinion of Mr. Woods, there is no denying he’s a golfing legend. We all know he hasn’t been so clever off the golf course but what he’s achieved in the golf industry has helped change our game to what it is today. Is he the greatest golfer of all time? Well that question is still unanswered and has divided opinion, but he is surely the greatest golfer of the modern era. And, in my opinion, yes – he is the greatest golfer of all time! He was my golfing role model growing up. He took golf to a whole new level and was inspiring to watch. Even now in 2019, the first person we want to know if they are playing or what they’ve shot is Tiger Woods. Falling to a career low of 1199 in the World Rankings in 2017, he now sits at 12th – grinding his way back into the top 10. So, what do you think of Tiger’s chances of a major championship in 2019? All the signs are there- he looks healthy again. His back fusion has got him playing a full schedule without pain. In his comeback season of 2018, he played 19 events. He seems more settled off the golf course, feels lucky to be playing and has recently said he’s been motivated by Phil Mickelson’s continued success at the age of 48. As far as I’m aware Tiger doesn’t currently have a swing coach – and this appears to have let him play more on feel and focus less on the technicalities of his swing. 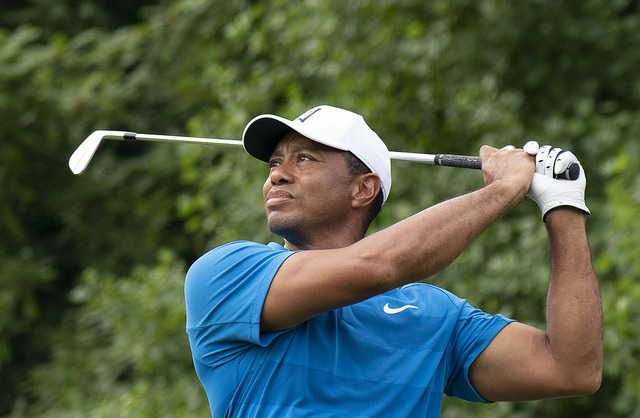 He split with Chris Como in December 2017, but Como’s biomechanical expertise helped find Tiger a swing that took pressure off his lower back. He has already answered the ‘Will Tiger ever win again?’ question when he won last year’s Tour championship at East lake and finished 2nd in the FedEx Cup standings. And he seems happy and excited about his club set up with TaylorMade. If you’re into numbers, you may feel like Tiger’s 2018 stats require some improvement if he wants to claim that 15th major championship; the stand out stat being his driving accuracy at 59.35%. However, Tiger’s never excelled in that department, and he’s still done alright for himself! Tiger may not ever dominate the sport like he once did, but he’s proved he can still compete at this level against what is now a large pack of world class golfers. Only time will tell whether Tiger is to win another major, I’m certainly hoping that he does. 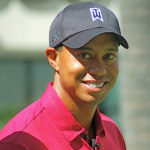 He has proven that he can compete again, therefore has every chance of winning that 15th major championship and getting closer to that Jack Nicklaus record of 18 major championships that he’s strived to surpass all his career. Tiger Woods to win the US Open 2019 at Pebble Beach?? ?